Marvellous room with natural ochre and cream shades inspiring calm and serenity. 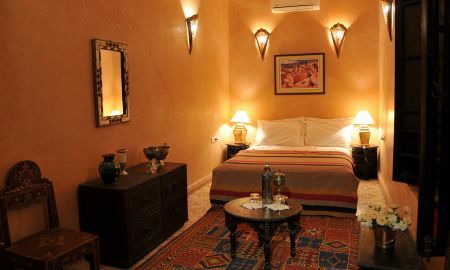 Marvellous suite with natural ochre and cream shades inspiring calm and serenity. 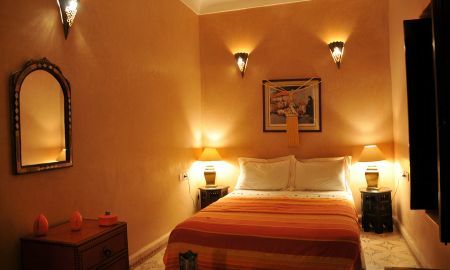 Large suite with two rooms, one with a double bed, another bedroom with two separate single beds. 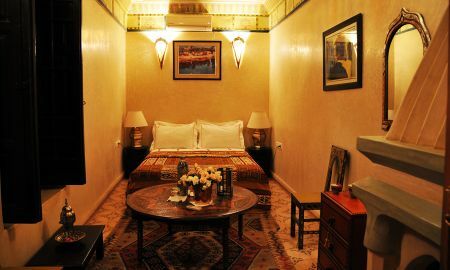 Discover Riad Adriana, a shelter of calm hidden in a narrow alley, in the heart of the medina with its lively ambiance, warm colors and magic scents. 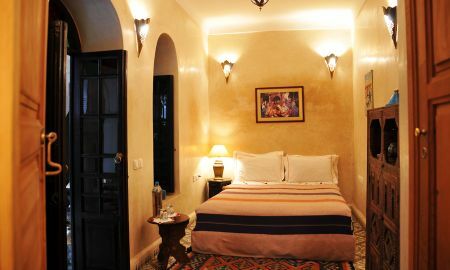 Once you step through the large wooden door, you will be seduced by the freshness of the place. 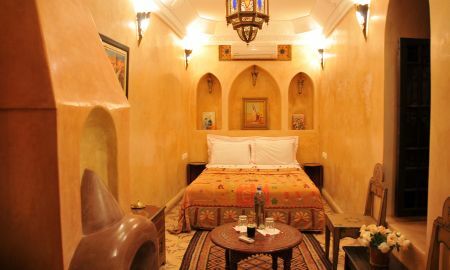 The eight rooms and suites of Riad Adriana painted in beige and ocher natural colors convey a feeling of relaxation and harmony with traditional ornaments, carved wooden furniture, and original carpets. 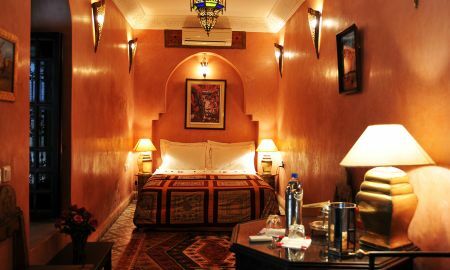 Riad Adriana invites you to a unique culinary experience, where the rich flavors will awaken your senses and delight your palates. For your ultimate relaxation, Riad Adriana also offers large seats in the solarium terrace to enjoy the warm sun of Marrakech. 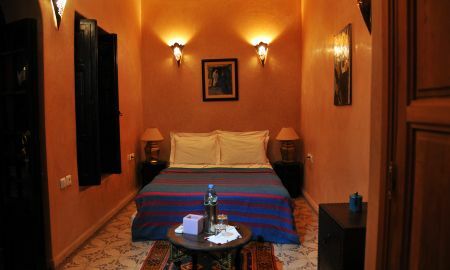 Riad Adriana is located in the heart of the medina of Marrakech, in the privileged neighborhood of Bab Doukkala, 10 minutes walk from the famous Jemaa Lefna and less than 5 minutes walk from the souks.